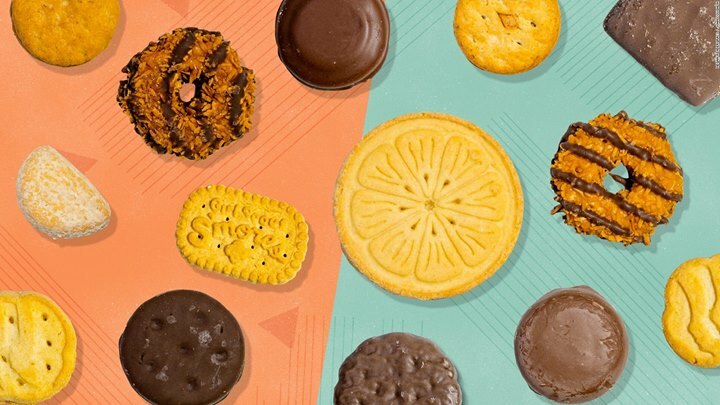 It's everyone's favorite time of year once again—the arrival of Girl Scout Cookies! Instead of washing those Tagalongs and Samoas down with a glass of milk, consider a more adult beverage; Craft Beer. We set out to find five locally sourced beers and paired those beers with five of the signature cookies you know so well. Give these combinations below a whirl. If nothing else, you’re still drinking beer and eating cookies. Piedmont Brewery & Kitchen’s robust, dark and spicy porter delivers a taste that pairs well with the minty crunch of the thin mint cookie, especially if you are one that keeps your Thin Mints in the freezer. Macon Love, a blonde ale with rye, El Dorado hops, and several hundred pounds of sweet cherries from the Macon Beer Company compliments the dark chocolate, toasted coconut and caramel of the Samoa Girl Scout cookie with a contrasting pairing of a fruity ale like Macon Love. A balanced IPA with a good citrus (lemon and grapefruit) and melon taste is a perfect companion to these shortbread cookies. Tangerine, blueberry, passionfruit make up the aroma and the subtle nuances of this beer. Ocmulgee Brewpub’s Muscogee Curse is a beer that is not overly bitter with lots of hop flavors. Peanut butter can actually be quite fun to pair with craft beers and the light flavor of this beer bring out the complexity of the cookie. The beautiful rose color and big tart cranberry flavor make each bite of a Do-si-Do a little more intense. The Peanut Butter Patties known as Tagalongs are filled with peanut butter and coated in chocolate, and we found that the best option for this cookie is to pair it with a chocolate stout beer. Ocmulgee Brewpub’s Oxbow beer of strong roasted malts, coffee, dark chocolate compliment this favored cookie.